Bio: Dr. Shrager assumed the role of Professor and Chief of the Division of Thoracic Surgery in July 2008. 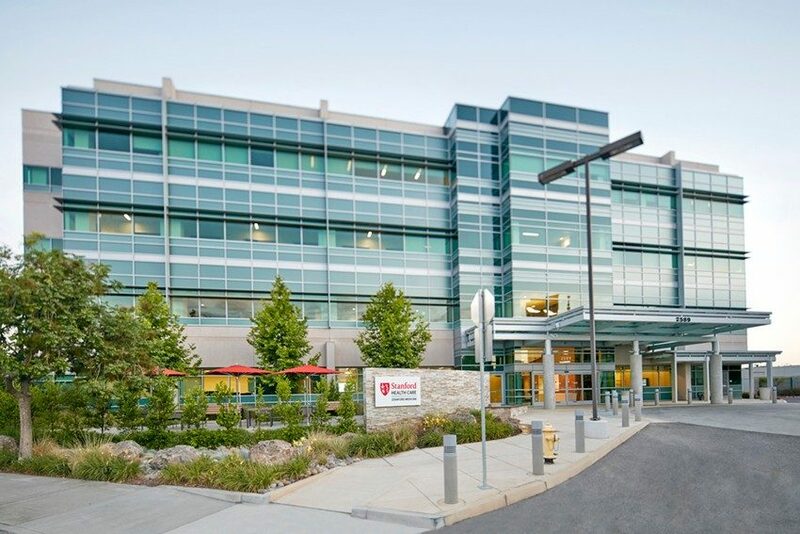 He came to Stanford from the University of Pennsylvania School of Medicine where he served as Associate Professor and Chief of Thoracic Surgery at the Hospital of the University of Pennsylvania and Pennsylvania Hospital. He earned his medical degree at Harvard, trained in surgery at Penn, and completed his thoracic surgery training at Massachusetts General Hospital. Dr. Shrager has been identified as one of “America’s Top Doctors” and one of “America’s Top Doctors for Cancer” in Castle Connolly’s prestigious listings for multiple years running. Dr. Shrager has been awarded US News and World Report “Top Doctor” recognition in every year since that rating system was inaugurated in 2012 ; this award places him among the top 1% of thoracic surgeons nationwide based upon reviews by physician-peers. Evidence of his expert status among his peers also includes membership on the editorial board of the Annals of Thoracic Surgery. Dr. Shrager practices all aspects of thoracic surgery but has specials interest and experience in lung cancer, surgery for emphysema, and mediastinal diseases. His clinical publications reflect these interests. In all cases, he looks towards minimally invasive approaches where appropriate, including VATS (thoracoscopic) lobectomy for early stage lung cancer and transcervical thymectomy. In the basic research realm, Dr. Shrager has focused upon the responses of the respiratory muscles to various disease states and interventions. His lab’s work has been published in important journals such as The New England Journal of Medicine, The Journal of Thoracic and Cardiovascular Surgery, and The American Journal of Respiratory and Critical Care Medicine. Shrager, J. B., & Kaiser, L. R. (1999). Thoracoscopic lung biopsy - Five commonly asked questions about video-assisted thoracic surgery. POSTGRADUATE MEDICINE, 106(4), 139-? Deeb, M., Shrager, J. B., Edelman, J. D., & Kaiser, L. (2000). Lymphangioleiomyomatosis: The surgeon's role in diagnosis. JOURNAL OF THORACIC AND CARDIOVASCULAR SURGERY, 119(3), 622–623. Shrager, J. B., Kaiser, L. R., & Edelman, J. D. (2000). Lung volume reduction surgery. Current Problems in Surgery, 37(4), 253–317. Lobectomy with tangential pulmonary artery resection without regard to pulmonary function Shrager, J. B., Lambright, E. S., McGrath, C. M., Wahl, P. M., Deeb, M. E., Friedberg, J. S., & Kaiser, L. R. (2000). Lobectomy with tangential pulmonary artery resection without regard to pulmonary function. ANNALS OF THORACIC SURGERY, 70(1), 234–239. Human skeletal myosin heavy chain genes are tightly linked in the order embryonic-IIa-IId/x-IIb-perinatal-extraocular Shrager, J. B., Desjardins, P. R., Burkman, J. M., Konig, S. K., Stewart, D. R., Su, L., … Stedman, H. H. (2000). Human skeletal myosin heavy chain genes are tightly linked in the order embryonic-IIa-IId/x-IIb-perinatal-extraocular. JOURNAL OF MUSCLE RESEARCH AND CELL MOTILITY, 21(4), 345–355. Lung volume reduction surgery restores the normal diaphragmatic length-tension relationship in emphysematous rats Shrager, J. B., Kim, D. K., Hashmi, Y. J., Lankford, E. B., Wahl, P., Stedman, H. H., … Kaiser, L. R. (2001). Lung volume reduction surgery restores the normal diaphragmatic length-tension relationship in emphysematous rats. JOURNAL OF THORACIC AND CARDIOVASCULAR SURGERY, 121(2), 217–224. Bronchial anastomotic stricture caused by ossification of an intercostal muscle flap Deeb, M. E., Sterman, D. H., Shrager, J. B., & Kaiser, L. R. (2001). Bronchial anastomotic stricture caused by ossification of an intercostal muscle flap. ANNALS OF THORACIC SURGERY, 71(5), 1700–1702. Successful-experience with simultaneous lung volume reduction and cardiac procedures Shrager, J. B., Kozyak, B. W., Roberts, J. R., Bavaria, J. E., Friedberg, J. S., Kaiser, L. R., & Rosengard, B. R. (2001). Successful-experience with simultaneous lung volume reduction and cardiac procedures. JOURNAL OF THORACIC AND CARDIOVASCULAR SURGERY, 122(1), 196–197. Expanded indications for transcervical thymectomy in the management of anterior mediastinal masses Deeb, M. E., Brinster, C. J., Kucharzuk, J., Shrager, J. B., & Kaiser, L. R. (2001). Expanded indications for transcervical thymectomy in the management of anterior mediastinal masses. ANNALS OF THORACIC SURGERY, 72(1), 208–211. Risk of death from intercurrent disease is not excessively increased by modern postoperative radiotherapy for high-risk resected non-small-cell lung carcinoma Machtay, M., Lee, J. H., Shrager, J. B., Kaiser, L. R., & Glatstein, E. (2001). Risk of death from intercurrent disease is not excessively increased by modern postoperative radiotherapy for high-risk resected non-small-cell lung carcinoma. JOURNAL OF CLINICAL ONCOLOGY, 19(19), 3912–3917. Sarcomeres are added in series to emphysematous rat diaphragm after lung volume reduction surgery Shrager, J. B., Kim, D. K., Hashmi, Y. J., Stedman, H. H., Zhu, J. L., Kaiser, L. R., & LEVINE, S. (2002). Sarcomeres are added in series to emphysematous rat diaphragm after lung volume reduction surgery. CHEST, 121(1), 210–215. Current presentation and optimal surgical management of sternoclavicular joint infections Song, H. K., Guy, T. S., Kaiser, L. R., & Shrager, J. B. (2002). Current presentation and optimal surgical management of sternoclavicular joint infections. ANNALS OF THORACIC SURGERY, 73(2), 427–431. Suction vs water seal after pulmonary resection - A randomized prospective study Marshall, M. B., Deeb, M. E., Bleier, J. I. S., Kucharczuk, J. C., Friedberg, J. S., Kaiser, L. R., & Shrager, J. B. (2002). Suction vs water seal after pulmonary resection - A randomized prospective study. CHEST, 121(3), 831–835. Evolutionary implications of three novel members of the human sarcomeric myosin heavy chain gene family Desjardins, P. R., Burkman, J. M., Shrager, J. B., Allmond, L. A., & Stedman, H. H. (2002). Evolutionary implications of three novel members of the human sarcomeric myosin heavy chain gene family. MOLECULAR BIOLOGY AND EVOLUTION, 19(4), 375–393. Osteogenic sarcoma presenting with lung metastasis Staddon, A. P., Lackman, R., Robinson, K., Shrager, J. B., & Warhol, M. (2002). Osteogenic sarcoma presenting with lung metastasis. ONCOLOGIST, 7(2), 144–153. Pathological response to preoperative chemoradiation worsens with anemia in non-small cell lung cancer patients Robnett, T. J., Machtay, M., Hahn, S. M., Shrager, J. B., Freidberg, J. S., & Kaiser, L. R. (2002). Pathological response to preoperative chemoradiation worsens with anemia in non-small cell lung cancer patients. CANCER JOURNAL, 8(3), 263–267. Transcervical thymectomy for myasthenia gravis achieves results comparable to thymectomy by sternotomy Shrager, J. B., Deeb, M. E., Mick, R., Brinster, C. J., Childers, H. E., Marshall, M. B., … Kaiser, L. R. (2002). Transcervical thymectomy for myasthenia gravis achieves results comparable to thymectomy by sternotomy. ANNALS OF THORACIC SURGERY, 74(2), 320–326. Benign expectoration of a surgical clip through a pneumonectomy stump Ahmed, Z., Kaiser, L. R., & Shrager, J. B. (2002). Benign expectoration of a surgical clip through a pneumonectomy stump. JOURNAL OF THORACIC AND CARDIOVASCULAR SURGERY, 124(5), 1025–1026. Evaluating respiratory muscle adaptations - A new approach LEVINE, S., Nguyen, T., Kaiser, L. R., & Shrager, J. B. (2002). Evaluating respiratory muscle adaptations - A new approach. AMERICAN JOURNAL OF RESPIRATORY AND CRITICAL CARE MEDICINE, 166(11), 1418–1419. Inspiratory loading does not accelerate dystrophy in mdx mouse diaphragm: implications for regenerative therapy Krupnick, A. S., Zhu, J. L., Nguyen, T., Kreisel, D., Balsara, K. R., Lankford, E. B., … Shrager, J. B. (2003). Inspiratory loading does not accelerate dystrophy in mdx mouse diaphragm: implications for regenerative therapy. JOURNAL OF APPLIED PHYSIOLOGY, 94(2), 411–419. Mediastinal talcoma masquerading as thymoma Ahmed, Z., & Shrager, J. B. (2003). Mediastinal talcoma masquerading as thymoma. ANNALS OF THORACIC SURGERY, 75(2), 568–569. Myosin heavy chain and physiological adaptation of the rat diaphragm in elastase-induced emphysema Kim, D. K., Zhu, J. L., Kozyak, B. W., Burkman, J. M., Rubinstein, N. A., Lankford, E. B., … Shrager, J. B. (2003). Myosin heavy chain and physiological adaptation of the rat diaphragm in elastase-induced emphysema. RESPIRATORY RESEARCH, 4(1). Omentum is highly effective in the management of complex cardiothoracic surgical problems Shrager, J. B., Wain, J. C., Wright, C. D., Donahue, D. M., Vlahakes, G. J., Moncure, A. C., … Mathisen, D. J. (2003). Omentum is highly effective in the management of complex cardiothoracic surgical problems. JOURNAL OF THORACIC AND CARDIOVASCULAR SURGERY, 125(3), 526–532. Tracheal trauma. Shrager, J. B. (2003). Tracheal trauma. Chest Surgery Clinics of North America, 13(2), 291–304. Human diaphragm remodeling associated with chronic obstructive pulmonary disease - Clinical implications Levine, S., Nguyen, T., Kaiser, L. R., Rubinstein, N. A., Maislin, G., Gregory, C., … Shrager, J. B. (2003). Human diaphragm remodeling associated with chronic obstructive pulmonary disease - Clinical implications. AMERICAN JOURNAL OF RESPIRATORY AND CRITICAL CARE MEDICINE, 168(6), 706–713. A PCR-BASED ASSAY FOR THE WILD-TYPE DYSTROPHIN GENE TRANSFERRED INTO THE MDX MOUSE Shrager, J. B., Naji, A., Kelly, A. M., & Stedman, H. H. (1992). A PCR-BASED ASSAY FOR THE WILD-TYPE DYSTROPHIN GENE TRANSFERRED INTO THE MDX MOUSE. MUSCLE & NERVE, 15(10), 1133–1137. Comparison of stages I-II thymoma treated by complete resection with or without adjuvant radiation Singhal, S., Shrager, J. B., Rosenthal, D. I., LiVolsi, V. A., & Kaiser, L. R. (2003). Comparison of stages I-II thymoma treated by complete resection with or without adjuvant radiation. ANNALS OF THORACIC SURGERY, 76(5), 1635–1641. Two commonly used neoadjuvant chemoradiotherapy regimens for locally advanced stage III non-small cell lung carcinoma: Long-term results and associations with pathologic response Machtay, M., Lee, J. H., Stevenson, J. P., Shrager, J. B., Algazy, K. M., Treat, J., & Kaiser, L. R. (2004). Two commonly used neoadjuvant chemoradiotherapy regimens for locally advanced stage III non-small cell lung carcinoma: Long-term results and associations with pathologic response. JOURNAL OF THORACIC AND CARDIOVASCULAR SURGERY, 127(1), 108–113. Myosin gene mutation correlates with anatomical changes in the human lineage Stedman, H. H., Kozyak, B. W., Nelson, A., Thesier, D. M., Su, L. T., Low, D. W., … Mitchell, M. A. (2004). Myosin gene mutation correlates with anatomical changes in the human lineage. NATURE, 428(6981), 415–418. Lung cancer in transplant recipients - A single-institution experience Ahmed, Z., Marshall, M. B., Kucharczuk, J. C., Kaiser, L. R., & Shrager, J. B. (2004). Lung cancer in transplant recipients - A single-institution experience. ARCHIVES OF SURGERY, 139(8), 902–906. Hyperpolarized helium-3 MR imaging of pulmonary function Ishii, M., Fischer, M. C., Emami, K., Alavi, A., Spector, Z. Z., Yu, J. S., … Rizi, R. R. (2005). Hyperpolarized helium-3 MR imaging of pulmonary function. RADIOLOGIC CLINICS OF NORTH AMERICA, 43(1), 235-? Effect of chronic obstructive pulmonary disease on calcium pump ATPase expression in human diaphragm Nguyen, T., Rubinstein, N. A., Vijayasarathy, C., Rome, L. C., Kaiser, L. R., Shrager, J. B., & Levine, S. (2005). Effect of chronic obstructive pulmonary disease on calcium pump ATPase expression in human diaphragm. JOURNAL OF APPLIED PHYSIOLOGY, 98(6), 2004–2010. Catamenial pneumothorax: optimal hormonal and surgical management Marshall, M. B., Ahmed, Z., Kucharczuk, J. C., Kaiser, L. R., & Shrager, J. B. (2005). Catamenial pneumothorax: optimal hormonal and surgical management. EUROPEAN JOURNAL OF CARDIO-THORACIC SURGERY, 27(4), 662–666. Which patients with stage III non-small cell lung cancer should undergo surgical resection? Patel, V., & Shrager, J. B. (2005). Which patients with stage III non-small cell lung cancer should undergo surgical resection? ONCOLOGIST, 10(5), 335–344. Pain and physical function are similar following axillary, muscle-sparing vs posterolateral thoracotomy Ochroch, E. A., Gottschalk, A., Augoustides, J. G., Aukburg, S. J., Kaiser, L. R., & Shrager, J. B. (2005). Pain and physical function are similar following axillary, muscle-sparing vs posterolateral thoracotomy. CHEST, 128(4), 2664–2670. Comparative study of subxiphoid versus video-thoracoscopic pericardial "'window" O'Brien, P. K. H., Kucharczuk, J. C., Marshall, M. B., Friedberg, J. S., Chen, Z., Kaiser, L. R., & Shrager, J. B. (2005). Comparative study of subxiphoid versus video-thoracoscopic pericardial "'window". ANNALS OF THORACIC SURGERY, 80(6), 2013–2019. Invited commentary. Shrager, J. B. (2006). Invited commentary. Annals of Thoracic Surgery, 81(1), 334-? Anterior surgical approaches to the thoracic outlet Marshall, M. B., Kucharczuk, J. C., Shrager, J. B., & Kaiser, L. R. (2006). Anterior surgical approaches to the thoracic outlet. JOURNAL OF THORACIC AND CARDIOVASCULAR SURGERY, 131(6), 1255–1260. Parasternal intercostal muscle remodeling in severe chronic obstructive pulmonary disease Levine, S., Nguyen, T., Friscia, M., Zhu, J., Szeto, W., Kucharczuk, J. C., … Shrager, J. B. (2006). Parasternal intercostal muscle remodeling in severe chronic obstructive pulmonary disease. JOURNAL OF APPLIED PHYSIOLOGY, 101(5), 1297–1302. Outcomes after 151 extended transcervical thymectomies for myasthenia gravis Shrager, J. B., Nathan, D., Brinster, C. J., Yousuf, O., Spence, A., Chen, Z., & Kaiser, L. R. (2006). Outcomes after 151 extended transcervical thymectomies for myasthenia gravis. ANNALS OF THORACIC SURGERY, 82(5), 1863–1869. Cytokine response is lower after lung volume reduction through bilateral thoracoscopy versus sternotomy Friscia, M. E., Zhu, J., Kolff, J. W., Chen, Z., Kaiser, L. R., Deutschman, C. S., & Shrager, J. B. (2007). Cytokine response is lower after lung volume reduction through bilateral thoracoscopy versus sternotomy. ANNALS OF THORACIC SURGERY, 83(1), 252–256. Complications of video-assisted thoracoscopic lung biopsy in patients with interstitial lung disease Kreider, M. E., Hansen-Flaschen, J., Ahmad, N. N., Rossman, M. D., Kaiser, L. R., Kucharczuk, J. C., & Shrager, J. B. (2007). Complications of video-assisted thoracoscopic lung biopsy in patients with interstitial lung disease. ANNALS OF THORACIC SURGERY, 83(3), 1140–1145. Early changes of lung function and structure in an elastase model of emphysema - a hyperpolarized He-3 MRI study Emami, K., Cadman, R. V., Woodburn, J. M., Fischer, M. C., Kadlecek, S. J., Zhu, J., … Rizi, R. R. (2008). Early changes of lung function and structure in an elastase model of emphysema - a hyperpolarized He-3 MRI study. JOURNAL OF APPLIED PHYSIOLOGY, 104(3), 773–786. Rapid disuse atrophy of diaphragm fibers in mechanically ventilated humans Levine, S., Nguyen, T., Taylor, N., Friscia, M. E., Budak, M. T., Rothenberg, P., … Shrager, J. B. (2008). Rapid disuse atrophy of diaphragm fibers in mechanically ventilated humans. NEW ENGLAND JOURNAL OF MEDICINE, 358(13), 1327–1335. Thoracoscopic total parietal pleurectomy for primary spontaneous pneumothorax Nathan, D. P., Taylor, N. E., Low, D. W., Raymond, D., & Shrager, J. B. (2008). Thoracoscopic total parietal pleurectomy for primary spontaneous pneumothorax. ANNALS OF THORACIC SURGERY, 85(5), 1825–1827. Extended transcervical thymectomy in the treatment of myasthenia gravis Khicha, S. G., Kaiser, L. R., & Shrager, J. B. (2008). Extended transcervical thymectomy in the treatment of myasthenia gravis. Presented at the 11th International Conference on Myasthenia Gravis and Related Disorder, CHICAGO,IL: WILEY-BLACKWELL. THE MDX MOUSE DIAPHRAGM REPRODUCES THE DEGENERATIVE CHANGES OF DUCHENNE MUSCULAR-DYSTROPHY Stedman, H. H., Sweeney, H. L., Shrager, J. B., Maguire, H. C., Panettieri, R. A., Petrof, B., … Kelly, A. M. (1991). THE MDX MOUSE DIAPHRAGM REPRODUCES THE DEGENERATIVE CHANGES OF DUCHENNE MUSCULAR-DYSTROPHY. NATURE, 352(6335), 536–539. 3 WOMEN AT JOHNS-HOPKINS - PRIVATE PERSPECTIVES ON MEDICAL COEDUCATION IN THE 1890S Shrager, J. B. (1991). 3 WOMEN AT JOHNS-HOPKINS - PRIVATE PERSPECTIVES ON MEDICAL COEDUCATION IN THE 1890S. ANNALS OF INTERNAL MEDICINE, 115(7), 564–569. Thymoma Shrager, J. B. (2009). Thymoma. ANNALS OF THORACIC SURGERY, 87(1), 339–341. Intraoperative and postoperative management of air leaks in patients with emphysema. Shrager, J. B., DeCamp, M. M., & Murthy, S. C. (2009). Intraoperative and postoperative management of air leaks in patients with emphysema. Thoracic Surgery Clinics, 19(2), 223-? Mediastinoscopy: Still the Gold Standard Shrager, J. B. (2010). Mediastinoscopy: Still the Gold Standard. ANNALS OF THORACIC SURGERY, 89(6), S2084–S2089. Extended Transcervical Thymectomy: The Ultimate Minimally Invasive Approach Shrager, J. B. (2010). Extended Transcervical Thymectomy: The Ultimate Minimally Invasive Approach. ANNALS OF THORACIC SURGERY, 89(6), S2128–S2134. Invited commentary. Shrager, J. B. (2010). Invited commentary. Annals of Thoracic Surgery, 90(6), 1785-? Intrinsic apoptosis in mechanically ventilated human diaphragm: linkage to a novel Fos/FoxO1/Stat3-Bim axis Tang, H., Lee, M., Budak, M. T., Pietras, N., Hittinger, S., Vu, M., … Shrager, J. B. (2011). Intrinsic apoptosis in mechanically ventilated human diaphragm: linkage to a novel Fos/FoxO1/Stat3-Bim axis. FASEB JOURNAL, 25(9), 2921–36. Improved Survival after Pulmonary Metastasectomy for Soft Tissue Sarcoma Predina, J. D., Puc, M. M., Bergey, M. R., Sonnad, S. S., Kucharczuk, J. C., Staddon, A., … Shrager, J. B. (2011). Improved Survival after Pulmonary Metastasectomy for Soft Tissue Sarcoma. JOURNAL OF THORACIC ONCOLOGY, 6(5), 913–919. Benign emptying of the postpneumonectomy space. Merritt, R. E., Reznik, S. I., DaSilva, M. C., Sugarbaker, D. J., Whyte, R. I., Donahue, D. M., … Shrager, J. B. (2011). Benign emptying of the postpneumonectomy space. Annals of Thoracic Surgery, 92(3), 1076–1081. Morbidity and Mortality After Esophagectomy Following Neoadjuvant Chemoradiation Merritt, R. E., Whyte, R. I., D'Arcy, N. T., Hoang, C. D., & Shrager, J. B. (2011). Morbidity and Mortality After Esophagectomy Following Neoadjuvant Chemoradiation. ANNALS OF THORACIC SURGERY, 92(6), 2034–2040. Prophylaxis and Management of Atrial Fibrillation After General Thoracic Surgery Merritt, R. E., & Shrager, J. B. (2012). Prophylaxis and Management of Atrial Fibrillation After General Thoracic Surgery. THORACIC SURGERY CLINICS, 22(1), 13-? Invited commentary. Shrager, J. B. (2011). Invited commentary. Annals of Thoracic Surgery, 92(6), 2005–2006. Prognostic PET F-18-FDG Uptake Imaging Features Are Associated with Major Oncogenomic Alterations in Patients with Resected Non-Small Cell Lung Cancer Nair, V. S., Gevaert, O., Davidzon, G., Napel, S., Graves, E. E., Hoang, C. D., … Plevritis, S. K. (2012). Prognostic PET F-18-FDG Uptake Imaging Features Are Associated with Major Oncogenomic Alterations in Patients with Resected Non-Small Cell Lung Cancer. CANCER RESEARCH, 72(15), 3725–3734. Invited commentary. Shrager, J. B. (2012). Invited commentary. Annals of Thoracic Surgery, 94(1), 240-? Indications for Surgery in Patients with Localized Pulmonary Infection Merritt, R. E., & Shrager, J. B. (2012). Indications for Surgery in Patients with Localized Pulmonary Infection. THORACIC SURGERY CLINICS, 22(3), 325-? Cross-Species Functional Analysis of Cancer-Associated Fibroblasts Identifies a Critical Role for CLCF1 and IL-6 in Non-Small Cell Lung Cancer In Vivo Vicent, S., Sayles, L. C., Vaka, D., Khatri, P., Gevaert, O., Chen, R., … Sweet-Cordero, E. A. (2012). Cross-Species Functional Analysis of Cancer-Associated Fibroblasts Identifies a Critical Role for CLCF1 and IL-6 in Non-Small Cell Lung Cancer In Vivo. CANCER RESEARCH, 72(22), 5744–5756. Approach to the patient with multiple lung nodules. Shrager, J. B. (2013). Approach to the patient with multiple lung nodules. Thoracic Surgery Clinics, 23(2), 257–266. VIDEO-ASSISTED THORACIC-SURGERY - THE CURRENT STATE-OF-THE-ART Kaiser, L. R., & Shrager, J. B. (1995). VIDEO-ASSISTED THORACIC-SURGERY - THE CURRENT STATE-OF-THE-ART. AMERICAN JOURNAL OF ROENTGENOLOGY, 165(5), 1111–1117. VILLOUS ADENOMA OF THE MAIN PANCREATIC DUCT - A CLUE TO THE PATHOGENESIS OF PANCREATIC MALIGNANCY Shrager, J. B., GREELISH, J., VANARSDALE, C., Furth, E., & Daly, J. M. (1994). VILLOUS ADENOMA OF THE MAIN PANCREATIC DUCT - A CLUE TO THE PATHOGENESIS OF PANCREATIC MALIGNANCY. SURGICAL ONCOLOGY-OXFORD, 3(4), 203–210. THE VINEBERG PROCEDURE - THE IMMEDIATE FORERUNNER OF CORONARY-ARTERY BYPASS-GRAFTING Shrager, J. B. (1994). THE VINEBERG PROCEDURE - THE IMMEDIATE FORERUNNER OF CORONARY-ARTERY BYPASS-GRAFTING. ANNALS OF THORACIC SURGERY, 57(5), 1354–1364. ADAPTATIONS IN MYOSIN HEAVY-CHAIN EXPRESSION AND CONTRACTILE FUNCTION IN DYSTROPHIC MOUSE DIAPHRAGM Petrof, B. J., Stedman, H. H., Shrager, J. B., Eby, J., Sweeney, H. L., & Kelly, A. M. (1993). ADAPTATIONS IN MYOSIN HEAVY-CHAIN EXPRESSION AND CONTRACTILE FUNCTION IN DYSTROPHIC MOUSE DIAPHRAGM. AMERICAN JOURNAL OF PHYSIOLOGY, 265(3), C834–C841. DYSTROPHIN PROTECTS THE SARCOLEMMA FROM STRESSES DEVELOPED DURING MUSCLE-CONTRACTION Petrof, B. J., Shrager, J. B., Stedman, H. H., Kelly, A. M., & Sweeney, H. L. (1993). DYSTROPHIN PROTECTS THE SARCOLEMMA FROM STRESSES DEVELOPED DURING MUSCLE-CONTRACTION. PROCEEDINGS OF THE NATIONAL ACADEMY OF SCIENCES OF THE UNITED STATES OF AMERICA, 90(8), 3710–3714. Treatment of refractory, nonmalignant hydrothorax with a pleurovenous shunt Park, S. Z., Shrager, J. B., Allen, M. S., & Nagorney, D. M. (1997). Treatment of refractory, nonmalignant hydrothorax with a pleurovenous shunt. ANNALS OF THORACIC SURGERY, 63(6), 1777–1779. Bronchopulmonary carcinoid tumors associated with Cushing's syndrome: A more aggressive variant of typical carcinoid Shrager, J. B., Wright, C. D., Wain, J. C., Torchiana, D. F., Grillo, H. C., & Mathisen, D. J. (1997). Bronchopulmonary carcinoid tumors associated with Cushing's syndrome: A more aggressive variant of typical carcinoid. JOURNAL OF THORACIC AND CARDIOVASCULAR SURGERY, 114(3), 367–375. Determinants of time to opioid cessation post-surgery Ruchelli, G., Clay, D., Schmidt, P., Humphreys, K., Trafton, J., Dirbas, F., … Carroll, I. (2013). Determinants of time to opioid cessation post-surgery. JOURNAL OF PAIN, 14(4), S18–S18. The Society of Thoracic Surgeons Practice Guideline Series: Guidelines for the Management of Barrett's Esophagus With High-Grade Dysplasia Fernando, H. C., Murthy, S. C., Hofstetter, W., Shrager, J. B., Bridges, C., Mitchell, J. D., … Watson, T. J. (2009). The Society of Thoracic Surgeons Practice Guideline Series: Guidelines for the Management of Barrett's Esophagus With High-Grade Dysplasia. ANNALS OF THORACIC SURGERY, 87(6), 1993–2002. Management of Alveolar Air Leaks After Pulmonary Resection Singhal, S., Ferraris, V. A., Bridges, C. R., Clough, E. R., Mitchell, J. D., Fernando, H. C., & Shrager, J. B. (2010). Management of Alveolar Air Leaks After Pulmonary Resection. ANNALS OF THORACIC SURGERY, 89(4), 1327–35. Early outcomes after bilateral thoracoscopy versus median sternotomy for lung volume reduction. Puc, M. M., Sonnad, S. S., & Shrager, J. B. (2010). Early outcomes after bilateral thoracoscopy versus median sternotomy for lung volume reduction. Innovations (Philadelphia, Pa.), 5(2), 97–102. METABOLOMIC PROFILING OF LUNG ADENOCARCINOMA Hoang, C. D., Wu, M., Xu, Y., Peltz, G., Merritt, R., Whyte, R., & Shrager, J. (2010). METABOLOMIC PROFILING OF LUNG ADENOCARCINOMA. JOURNAL OF THORACIC ONCOLOGY, 5(5), S51–S52. MULTIPLE MICRORNA ARE DYSREGULATED IN MESOTHELIOMA Hoang, C. D., Xu, Y., Zheng, M., Peltz, G., Shrager, J., & Kratzke, R. (2010). MULTIPLE MICRORNA ARE DYSREGULATED IN MESOTHELIOMA. JOURNAL OF THORACIC ONCOLOGY, 5(5), S105–S106. A Dominant Adenocarcinoma With Multifocal Ground Glass Lesions Does Not Behave as Advanced Disease Gu, B., Burt, B. M., Merritt, R. E., Stephanie, S., Nair, V., Hoang, C. D., & Shrager, J. B. (2013). A Dominant Adenocarcinoma With Multifocal Ground Glass Lesions Does Not Behave as Advanced Disease. ANNALS OF THORACIC SURGERY, 96(2), 411–418. miR-1 Induces Growth Arrest and Apoptosis in Malignant Mesothelioma Xu, Y., Zheng, M., Merritt, R. E., Shrager, J. B., Wakelee, H. A., Kratzke, R. A., & Hoang, C. D. (2013). miR-1 Induces Growth Arrest and Apoptosis in Malignant Mesothelioma. CHEST, 144(5), 1632–1643. A Rare Population of CD24(+)ITGB4(+)Notch(hi) Cells Drives Tumor Propagation in NSCLC and Requires Notch3 for Self-Renewal Zheng, Y., de la Cruz, C. C., Sayles, L. C., Alleyne-Chin, C., Vaka, D., Knaak, T. D., … Sweet-Cordero, E. A. (2013). A Rare Population of CD24(+)ITGB4(+)Notch(hi) Cells Drives Tumor Propagation in NSCLC and Requires Notch3 for Self-Renewal. CANCER CELL, 24(1), 59–74. An observational study of circulating tumor cells and (18)F-FDG PET uptake in patients with treatment-naive non-small cell lung cancer. Nair, V. S., Keu, K. V., Luttgen, M. S., Kolatkar, A., Vasanawala, M., Kuschner, W., … Kuhn, P. (2013). An observational study of circulating tumor cells and (18)F-FDG PET uptake in patients with treatment-naive non-small cell lung cancer. PloS One, 8(7). Liquid chromatography/mass spectrometry methods for measuring dipeptide abundance in non-small-cell lung cancer. Wu, M., Xu, Y., Fitch, W. L., Zheng, M., Merritt, R. E., Shrager, J. B., … Hoang, C. D. (2013). Liquid chromatography/mass spectrometry methods for measuring dipeptide abundance in non-small-cell lung cancer. Rapid Communications in Mass Spectrometry : RCM, 27(18), 2091–2098. Quantitative assessment of emphysema using hyperpolarized He-3 magnetic resonance imaging Spector, Z. Z., Emami, K., Fischer, M. C., Zhu, J., Ishii, M., Vahdat, V., … Rizi, R. R. (2005). Quantitative assessment of emphysema using hyperpolarized He-3 magnetic resonance imaging. MAGNETIC RESONANCE IN MEDICINE, 53(6), 1341–1346. A small animal model of regional alveolar ventilation using (HPHe)-He-3 MRI Spector, Z. Z., Emami, K., Fischer, M. C., Zhu, J., Ishii, M., Yu, J., … Rizi, R. R. (2004). A small animal model of regional alveolar ventilation using (HPHe)-He-3 MRI. ACADEMIC RADIOLOGY, 11(10), 1171–1179. Lymph Node Evaluation Achieved by Open Lobectomy Compared With Thoracoscopic Lobectomy for N0 Lung Cancer Merritt, R. E., Hoang, C. D., & Shrager, J. B. (2013). Lymph Node Evaluation Achieved by Open Lobectomy Compared With Thoracoscopic Lobectomy for N0 Lung Cancer. ANNALS OF THORACIC SURGERY, 96(4), 1171–1177. A Meta-analysis of Lung Cancer Gene Expression Identifies PTK7 as a Survival Gene in Lung Adenocarcinoma. Chen, R., Khatri, P., Mazur, P. K., Polin, M., Zheng, Y., Vaka, D., … Sweet-Cordero, E. A. (2014). A Meta-analysis of Lung Cancer Gene Expression Identifies PTK7 as a Survival Gene in Lung Adenocarcinoma. Cancer Research, 74(10), 2892–2902. Should asymptomatic enlarged thymus glands be resected? Singla, S., Litzky, L. A., Kaiser, L. R., & Shrager, J. B. (2010). Should asymptomatic enlarged thymus glands be resected? JOURNAL OF THORACIC AND CARDIOVASCULAR SURGERY, 140(5), 977–983. Malignant pleural mesothelioma and the Society of Thoracic Surgeons Database: an analysis of surgical morbidity and mortality. Burt, B. M., Cameron, R. B., Mollberg, N. M., Kosinski, A. S., Schipper, P. H., Shrager, J. B., & Vigneswaran, W. T. (2014). Malignant pleural mesothelioma and the Society of Thoracic Surgeons Database: an analysis of surgical morbidity and mortality. Journal of Thoracic and Cardiovascular Surgery, 148(1), 30–35. Thoracoscopic lobectomy is associated with acceptable morbidity and mortality in patients with predicted postoperative forced expiratory volume in 1 second or diffusing capacity for carbon monoxide less than 40% of normal. Burt, B. M., Kosinski, A. S., Shrager, J. B., Onaitis, M. W., & Weigel, T. (2014). Thoracoscopic lobectomy is associated with acceptable morbidity and mortality in patients with predicted postoperative forced expiratory volume in 1 second or diffusing capacity for carbon monoxide less than 40% of normal. Journal of Thoracic and Cardiovascular Surgery, 148(1), 19-? Circulating Tumor Microemboli Diagnostics for Patients with Non-Small-Cell Lung Cancer Carlsson, A., Nair, V. S., Luttgen, M. S., Keu, K. V., Horng, G., Vasanawala, M., … Gambhir, S. S. (2014). Circulating Tumor Microemboli Diagnostics for Patients with Non-Small-Cell Lung Cancer. JOURNAL OF THORACIC ONCOLOGY, 9(8), 1111–1119. Chronic cutaneous chest wall fistula and gallstone empyema due to retained gallstones. Gaster, R. S., Berger, A. J., Ahmadi-Kashani, M., Shrager, J. B., & Lee, G. K. (2014). Chronic cutaneous chest wall fistula and gallstone empyema due to retained gallstones. BMJ Case Reports, 2014. Sequential bilateral lung isolation with a single bronchial blocker. Brodsky, J. B., Tzabazis, A., Basarb-Tung, J., & Shrager, J. B. (2013). Sequential bilateral lung isolation with a single bronchial blocker. A & A Case Reports, 1(1), 17–18. Concordant and Discordant EGFR Mutations in Patients With Multifocal Adenocarcinomas: Implications for EGFR-Targeted Therapy. Chuang, J. C., Shrager, J. B., Wakelee, H. A., & Neal, J. W. (2016). Concordant and Discordant EGFR Mutations in Patients With Multifocal Adenocarcinomas: Implications for EGFR-Targeted Therapy. Clinical Therapeutics, 38(7), 1567–76. An artificial niche preserves the quiescence of muscle stem cells and enhances their therapeutic efficacy. Quarta, M., Brett, J. O., DiMarco, R., de Morree, A., Boutet, S. C., Chacon, R., … Rando, T. A. (2016). An artificial niche preserves the quiescence of muscle stem cells and enhances their therapeutic efficacy. Nature Biotechnology, 34(7), 752–59. Invited Commentary. Shrager, J. (2016). Invited Commentary. Annals of Thoracic Surgery, 101(6), 2146–2147. Molecular profiling of single circulating tumor cells from lung cancer patients Park, S.-M., Wong, D. J., Ooi, C. C., Kurtz, D. M., Vermesh, O., Aalipour, A., … Gambhir, S. S. (2016). Molecular profiling of single circulating tumor cells from lung cancer patients. PROCEEDINGS OF THE NATIONAL ACADEMY OF SCIENCES OF THE UNITED STATES OF AMERICA, 113(52), E8379–E8386. Determinants of Complete Resection of Thymoma by Minimally Invasive and Open Thymectomy: Analysis of an International Registry. Burt, B. M., Yao, X., Shrager, J., Antonicelli, A., Padda, S., Reiss, J., … Scott, W. (2016). Determinants of Complete Resection of Thymoma by Minimally Invasive and Open Thymectomy: Analysis of an International Registry. Journal of Thoracic Oncology . Pulmonary function after lung tumor stereotactic ablative radiotherapy depends on regional ventilation within irradiated lung. Binkley, M. S., King, M. T., Shrager, J. B., Bush, K., Chaudhuri, A. A., Popat, R., … Loo, B. W. (2017). Pulmonary function after lung tumor stereotactic ablative radiotherapy depends on regional ventilation within irradiated lung. Radiotherapy and Oncology , 123(2), 270–75. Predictive radiogenomics modeling of EGFR mutation status in lung cancer Gevaert, O., Echegaray, S., Khuong, A., Hoang, C. D., Shrager, J. B., Jensen, K. C., … Leung, A. N. (2017). Predictive radiogenomics modeling of EGFR mutation status in lung cancer. SCIENTIFIC REPORTS, 7. Validating a dipstick method for detecting recent smoking Gariti, P., Rosenthal, D. I., Lindell, K., Hansen-Flaschen, J., Shrager, J., Lipkin, C., … Kaiser, L. R. (2002). Validating a dipstick method for detecting recent smoking. CANCER EPIDEMIOLOGY BIOMARKERS & PREVENTION, 11(10), 1123–25. Bioenergetic adaptation of individual human diaphragmatic myofibers to severe COPD Levine, S., Gregory, C., Nguyen, T., Shrager, J., Kaiser, L., Rubinstein, N., & Dudley, G. (2002). Bioenergetic adaptation of individual human diaphragmatic myofibers to severe COPD. JOURNAL OF APPLIED PHYSIOLOGY, 92(3), 1205–13. Prediction of EGFR and KRAS mutation in non-small cell lung cancer using quantitative 18F FDG-PET/CT metrics. Minamimoto, R., Jamali, M., Gevaert, O., Echegaray, S., Khuong, A., Hoang, C. D., … Quon, A. (2017). Prediction of EGFR and KRAS mutation in non-small cell lung cancer using quantitative 18F FDG-PET/CT metrics. Oncotarget. Providers made visit a good experience & answered the questions I had. I hope on one I know gets this cancer - but if they do I would recommend Dr. Shrager. We are so lucky that Dr. Shrager is in my dad's insurance network! I have been given a second chance at life thank to Dr. Shrager and God!! Always a good experience. Both the doctor & the NP were excellent. Dr. Shrager made me feel safe in his care. Was completely satisfied with my choice of selecting Stanford Univ. found I had received an outstanding health care experience. The best doctor I have ever met. Very fortunate to have Dr. Shrager for the surgery. I highly appreciate his effort an less staff! I have had 2 surgeons before. He is the best for my quick recovery. I have nothing but praise for Dr Shrager & his staff. I am fortunate that I have such highly qualified caregivers. He & she were wonderful. Dr. Shrager is amazing and extremely kind & caring. The care provider and nurse are concern with the patient's health condition. I was actually surprised by how accessible Dr. Shrager was especially for scheduling surgery so quickly, I actually came to Dr. Shrager for a second opinion, and after meeting with him, decided to have him do my surgery! He is impressive! I would refer my friends to this doctor or hospital. World class surgeon, but also absolutely outstanding physician w/patient. Dr. Shrager is obviously an excellent surgeon. However, his "bedside manner" is a little cold and stiff and abrupt. Very good & helpful experience. Excellent doctors. Straight forward, no B.S. Quite possibly saved my life! Dr. Shrager is my hero. Love Dr. Shrager! He was very knowledgeable and if he had any concerns/questions he call the oncologist so our questions would be answered! I expected the doctor to spend a little time with me - even to bring up/open my CT and other scans; I expected a REVIEW of my cancer and the most vacant scan and I received NONE of this. I surprised and disappointed me entirely - After all, this is STANFORD. My experience was so amazing! I felt so lucky to be able to get such amazing care & prompt surgery. Dr. Shrager was smart, direct, & competent. Love Dr. Shrager and Angela. Just wish I had come to them sooner. I especially appreciated Dr. Shrager's compassion when he had to tell me my tumor was Stage II instead of Stage I after all. Thanks. Provided every thing I needed to know & understand. Everyone is very conscientious! Actual time seeing doctor felt rushed. I was weak from surgery & needed more specific advise about how to heal more quickly & did not get that. However. Dr. Shrager did a great job with surgery & referred me to Dr. Heather Walker. Wanted more info about 2 spots on my lung -> New or old & seen before now? Dr. Shrager, is an excellent thoracic surgeon. May God keep blessing him in his noble work! Dr. Shrager an excellent surgeon - brisk and to the point. The entire experience was VERY positive. Dr. Shrager is an excellent doctor! The best provider. He is #1. I could have been more aware of what I needed to know. My first surgery hospital stay in 50+ years I was not knowledgeable of hospital protocol. Dr. Shrager & staff offer superior care and I feel very fortunate to have had him as my surgeon. Everything about his clinic is top-notch and he really cares about his patients but also provides the best care possible. Limited experience with ACC cancer. Some of his comments went against what I know of the disease. Dr. Shrager is an excellent doctor and I feel very fortunate to be his patient. Staff was outstanding and very helpful as well as available. Excellent - professional - gave me confidence that I was in the best hands. The intern was so informative and Dr. Shrager told me more than I have been able to understand and answered questions - than I have in the last several months of my dr. in home town. Excellent doctor in MANY ways!! I did feel slightly rushed in my last visit though.